Sandbags are a very modern way to exercise. Many people may think that a gym is all they need, but sandbag training offer can offer so much more when it comes to exercise and they’re GREAT for CrossFit! Workout sandbags can offer you access to a whole different world of training. This is because they do not have a consistent shape or form as their weight is constantly shifting around within the bag. This means that your less commonly used muscles are activated to keep the sandbag stable. Many people get hooked in this style of exercise and it is a great alternative to using machines at the gym. While many of these pieces of equipment do look similar to each other, they are actually very different, for different purposes and many also have different weight limits. Some of the more expensive weightlifting sandbags have been manufactured from tougher materials, thus making them more durable for carrying massive weights. They also have the ability to be very versatile. For example, one idea is to try to keep the sand focused at one side of sandbag to make your workout more challenging and work your core. 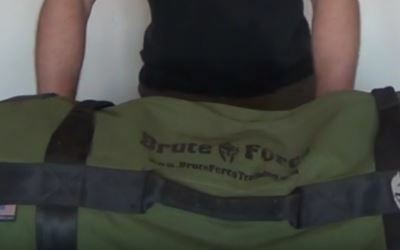 The Brute Force sandbag has been created to accommodate for many different training styles. This is one of the reasons why it makes it to #1 on our list. The sheer amount of weight that this can carry (400lbs when fully weighted) makes it perfect for strength trainers looking to gain serious strength. The toughness of the bag is also second to none and fitness enthusiasts will like the flexibility that this offers. It is available in a wide range of colors and options and the soft grip handles are a great addition to help to protect your hands from any abrasions. The added reinforcement in the bag allows you to add as much weight as possible. It is designed so that when dropped, the bag will have no chance of tearing. It also comes with a limited lifetime warranty for peace of mind that the bag is up to standard. It is worth noting that (unlike our #2 bag) this is not waterproof. Furthermore, it includes multiple filler bags, and these filler bags can be used to add or remove weight, thus also making it great for multi-functional sandbag training and CrossFit routines. Due to the size of the bag, the weight can be moved around easily which is useful to activate some of those muscles which are otherwise rarely used to improve your physique. 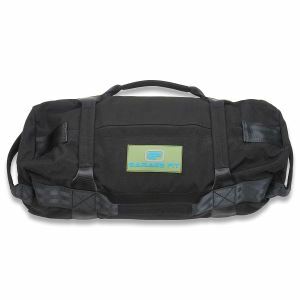 We highly recommend this training bag for people looking for something that they can progress with. The multi-functionality is impeccable, and for most this will offer you extreme workouts for many years to come. Straight away you can see that the SKLZ is a bright and attractive looking bag. 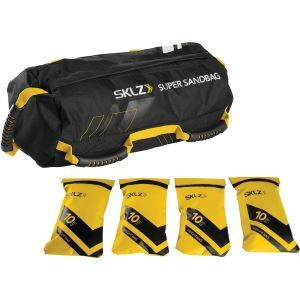 The SKLZ Super Sandbag has been designed to allow fitness enthusiasts to use the bag in many different ways due the way that the handles are easy to grasp and good for grappling. The bag includes 4 inner sandbags which 10lbs of sand can be packed into each. Fitting these into the the durable outer shell is a little tight but it just about allows you fit them all in for a total 40lbs of weight. The kit has been designed to resist the movement of 40 pounds of sand in all directions, and this should be enough for many fitness and CrossFit enthusiasts. The workout sandbag might not be heavy enough for bodybuilding, but a bodybuilder might still use it for toning or a cardio routine. It’s sleek profile also makes it good for runners. Furthermore, the bag features six soft grip handles which should make it easier on your hands you when it comes to training and good for aerobic exercise. These handles will ensure that your hands do not sustain any injury and that you are comfortable in maneuvering the bag. We highly recommend this bag for fitness or CrossFit enthusiasts looking to up their game and also sports athletes trying to improve their explosiveness. The durability will allow for a lot of multi functional utilization and in various scenarios without having to fear any tearing. The Heavy Duty workout bag from Garage Fit has been designed to make sandbag exercise easy in indoor and outdoor conditions or situations. The training sandbag has been constructed from a durable nylon material, and the stitching has also been doubled up. The double stitched nylon areas will make extra sure that it doesn’t tear or sand does not leak through. This also adds to the overall durability of the bag. With seven soft grip handles, it will be possible to do multiple different weight lifting sandbag training exercises and CrossFit exercises with ease. These handles are also padded to ensure that no chafing occurs and that you have a comfortable workout experience. The workout sandbag comes in a variety of different sizes from 30lbs all the way up to a maximum weight limit of 120lbs pounds. But even the smallest bag should be efficient for home use and the average person. Furthermore, the bag is also waterproof, and while this might not be impressive to all, it’s nice to know that this can be used in the rain outdoors. The bag will also not tear or rip, and the warranty will keep you covered, we do not recommend adding more than the specified weight limit to the bag. We highly recommend this bag for average fitness enthusiasts and also the more extreme fitness enthusiast to try and improve your fitness level at an affordable price. The well positioned handles on the kit allows you to do multiple different exercises and so can be used to improve your entire body. The Ultimate Sandbag Package should be one of the best packages for beginners to start off with. This trainersandbag system features huge weight limit of 80lbs which should be great for improving strength and also overall fitness and explosive power. The added exercise DVD should be perfect for people looking to start off with sandbag based drills, and you can learn each exercis with ease. This will allow you to perform over 400 different exercises and with its soft grip but robustly built handles, possible hand scraping issues or grip problems are kept to a minimum. From it’s appearance, this would not look out of place in a MMA or boxing gym. The durable outer shell and the leak resistant design easily keeps the sand within. This is another very durable bag that can be dropped over and over with no signs of any meaningful damage to the bag. You should also notice that once all of the filler bags have been added, there will be less space inside for the sand to move around, but you will still be training hard. This is definitely recommended for fitness freaks, and it will also be perfect for beginners to start off with. You can greatly improve your performance with this Ultimate package for a long time. 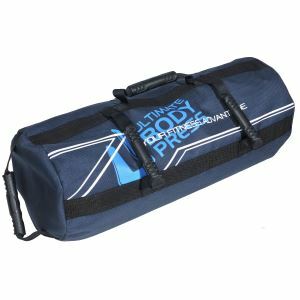 The Ultimate Body Press Sandbag is one of the most versatile training bags on our list and it also offers great value for money. It is available in multiple different sizes, some of which have an option to use water instead of sand. This makes this a more portable bag as it can be simply filled from any tap. It also shows how much the manufacturer trusts in the quality of their product. The bag features 7 durable handles and provides a nice change to the free weights at the gym and the handles being quite close together make this a good contender for ab workouts. Furthermore, it features a durable outer shell made from a ballistic resistant canvas. 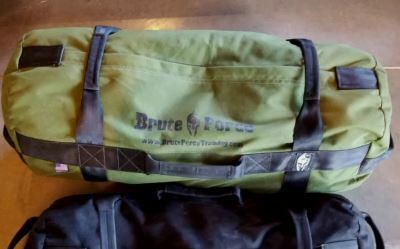 The entire bag is leak proof and supports a weight of up to 100lbs. The sand filler bags use a double Velcro mechanism to prevent leaks meaning that your sand will not leak out and the water fillers use a cap. Just be sure to no lose the cap or this will leave them useless. We recommend this for a wide range of uses and it’s the portability factor which really makes it stand out on our list. The whole family will be able to use one or two of these bags for their sandbag exercise routine. It’s probably not the best looking bag on out list but don’t let that put you off. This bag is made for giving you great value for your money. Weight limit: Depending on your strength capabilities, the weight will be imperative, and you will need to have a robust bag. As you start getting stronger, a bigger and heavier bag will allow you to progress further. Also, if you plan on doing a lot of leg work, such as squats, then a heavier bag is suggested. Getting the correct shoes for squats is also recommended. Filler bags: Most of the advanced bags come with filler bags for you to increase or decrease the mass. The amount of filler bags will directly indicate the weight limit as well, but you will be able to play with the weight much more when adding or taking away these filler bags. Durability: Since you will be using these for training, they will need to be durable. When we get tired in the gym, it is easy to lose grip on the weights, and they will naturally fall to the ground. If this happens with a training sandbag and if it is not durable, it may rip or tear and since many are expensive, it could be hard to replace. Training conditions: Workout sandbags will allow you to perform different exercises with them. The weight limit will certainly be a little different when you choose the type of sandbag for training or CrossFit. 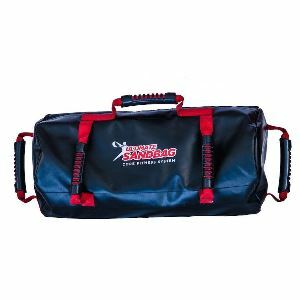 Fitness bags will allow you to perform more actions with them and have different gripping elements, while the strength bags are made specially for power. Price: When you take all of these features into account, you should remember to look at the cost. 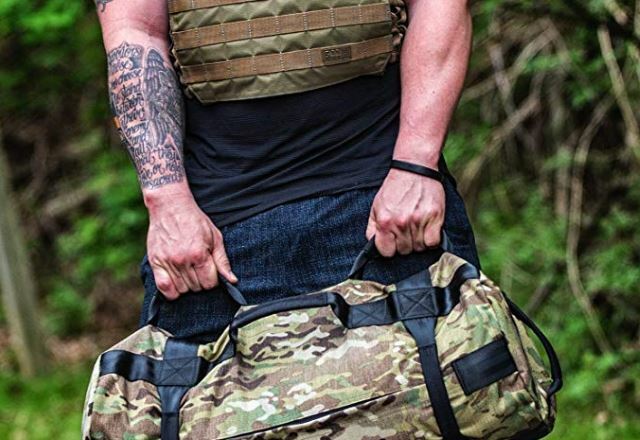 Yes, we do not recommend a homemade exercise sandbag, but sometimes if the quality of the one that you are considering is not on par, you might need to look at the price and make that decision of whether it is worth it. By understanding these five elements, you should be able to make a much better choice regarding your bag and you will also be able to make sure that it is worth it’s value. The bags we have chosen will certainly be worth it and they should last you a long time. 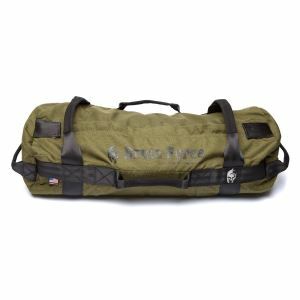 Final Thoughts – Which Training Sandbag Is Best? We would like to thank you for reading this article, and we hope that you have a better understanding of sandbags for training. All of these bags are highly recommended for their specific purposes, and we believe they will offer you what you need to progress towards your own fitness goals. A buyers guide of what to look out for when purchasing a sandbag for workouts. Also a list of recommended bags.